Known as the ‘Sunshine State’, Florida’s weather and glorious beaches attract over 60 million visitors every year. Amusement parks and beach destinations are popular but Florida offers so much more. Where else can you inspect spaceships in the morning and swim with manatees in the afternoon? 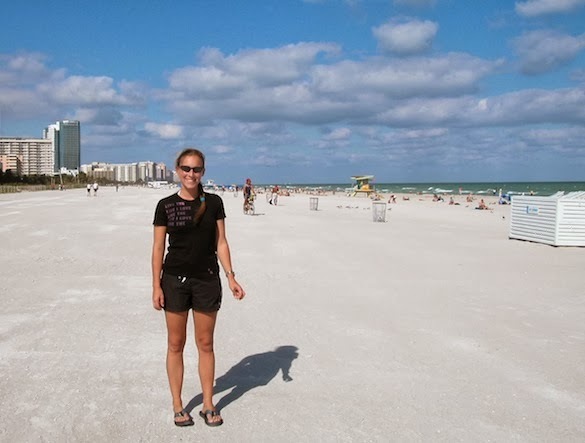 Here is my list of the ten best things to do in Florida. Infamous for its theme parks, Orlando is a favourite with families and thrill-seekers looking for fun in the sun. There is a huge array of fun parks and there really is something to suit everyone. Embrace your inner big kid and head to Disneyland or pick up Universal tickets for a fun few days. Space exploration still seems a bit make-believe to me but visiting the Kennedy Space Centre at Cape Canaveral made it all very real. The centre has an exhibition of rocket engines and information about the space crews. You can also see the launch pad and several spacecraft. Florida’s Everglades are magnificent and well worth a visit for a swamp hike, airboat ride or kayak trip. You can get up close and personal with some local creatures such as crocodiles, alligators, manatees and tortoises at wildlife parks too. I was talked into holding a baby alligator while there and was surprised at how warm its body felt. Florida has some great beaches but Fort Lauderdale’s beach, combined with the recent development of the café and shop-lined promenade makes it my favourite to visit. If you’re after a bit of culture while you’re there visit the International Swimming Hall of Fame. It is both a swimming pool and a museum, just back from the beach, and houses all sorts of swimming memorabilia. With almost as many waterways as roads Fort Lauderdale is known as America’s Venice. The town is carved up by intercoastal waterways and is an international yachting centre. It is a great place to imagine what life is like for the rich and famous. For the best view, walk to the centre of the SE 17th Street Bridge; it is the highest bridge in the area. If you’re after something different how about visiting a castle hand-carved out of chunks of coral? Built by an eccentric Latvian, Coral Castle’s construction is a mystery. It was built in secret over a period of 28 years between 1923 and 1951. 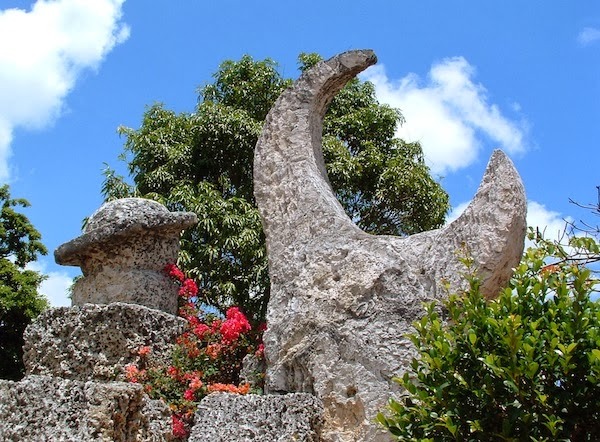 It is rumoured to be a memorial to unrequited love, but that and the many other secrets of Coral Castle remain unknown to this day. Developed by a small group of Holocaust survivors in the 1980s, the Holocaust Memorial in the Miami Beach Botanical Garden is an attention-grabbing sculpture and permanent memorial to the Jews that perished at the hands of the Nazis. 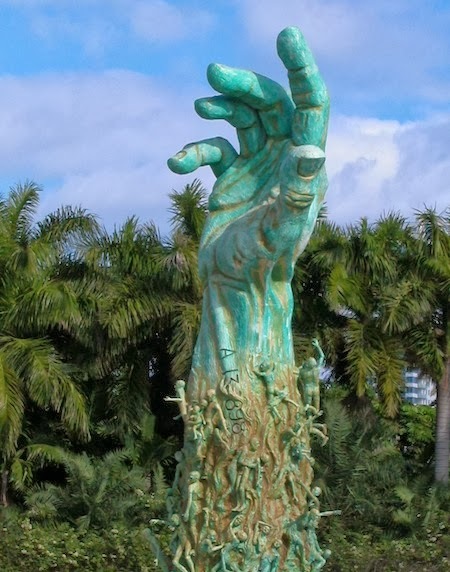 The bronze arm outstretched into the sky has small figures clinging to it and each other depicting the many people who probably died believing nobody cared. It was controversial when it was built and is still confronting to look at today. Miami South Beach has several shops but my favourite shopping avenue is Lincoln Road by far. The palm tree-lined pedestrian street is home to several quirky independent boutiques, as well as mainstream shops and cafes. It is a great spot for people watching but, more importantly, is a lovely place to shop. The streets of South Beach, especially Ocean Drive, are lined with retro 1930s-inspired art deco buildings in gorgeous pastel shades. The street looks like a movie set. The architecture alone is worth visiting for but the wide flat expanse of beach here is lovely too, and also a favourite place to be seen for the young up and coming of Miami. The Florida Keys are a string of islands hanging off Florida’s southern tip and Key West is the largest. 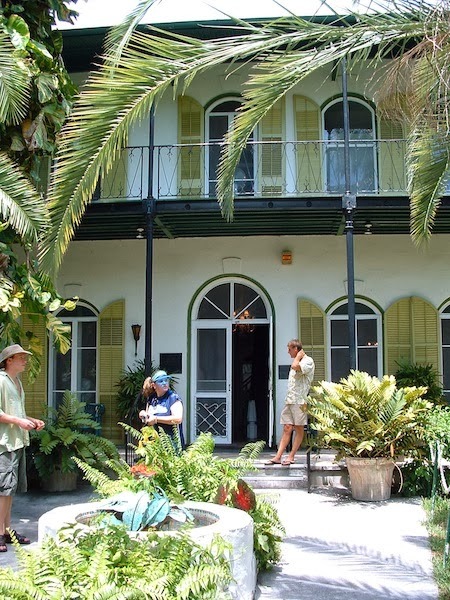 One-time home of the Ernest Hemingway, Hemingway House is a must-see. The building has been restored and is ruled by a gang of six-toed cats descended from Hemingway’s cat. Key West is also home to the southernmost point of continental USA and a monument celebrates this on the south side of the island. Street entertainers will keep you occupied on Mallory Square, which is also a great place to take in the glorious sunsets. The many cafes offer great spots to try the local specialty Key Lime Pie. Have you been to Florida? What would you add to this list?